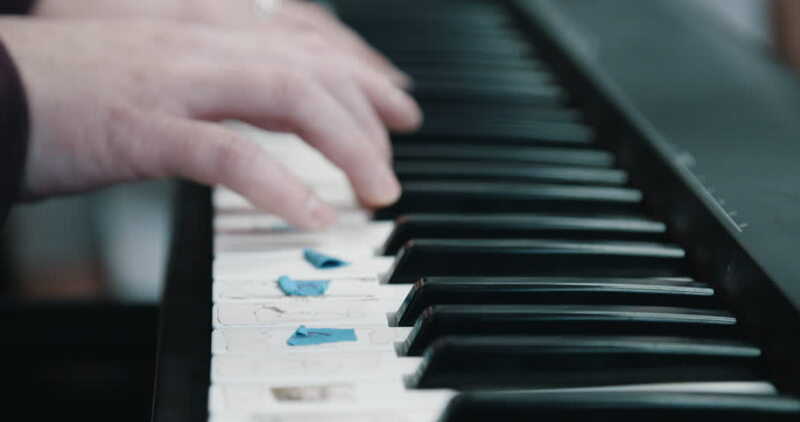 4k00:20An slowly tracking dolly shot of a person playing a piano or electric keyboard. hd00:19Male hands playing digital piano. Isolated over white background. hd00:16pianist in blue suit plays rapidly on the piano. top view, close up, slow motion. hd00:18Woman hand playing a MIDI controller keyboard synthesizer close up.